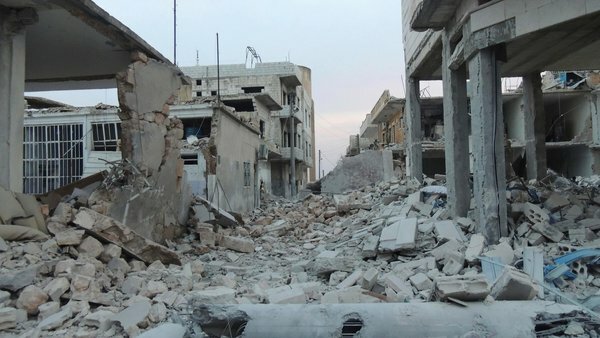 MEPs have backed Green calls for the EU and the ICC to intervene to stop the conflict in Syria. Expressing their ‘profound dismay’ at ‘the most devastating humanitarian crisis in decades’, MEPs blamed both government and armed rebel forces for the bloodshed, which, according to the UN, has seen an estimated 130,000 people killed and an estimated 9 million people affected and in need of humanitarian assistance. They called for the EU and the ICC to ply a greater role in bringing those responsible for the violence to justice, and for EU members to increase humanitarian aid to the region and resettle more of the estimated three million refugees who have fled Syria, mainly for neighbouring Turkey, Jordan and Lebanon. Some 6,500,000 people are thought to have fled their homes and are internally displaced with Syria. Green MEP Jean Lambert said: “We need an end to the violence – and an immediate ceasefire – now, and that means greater roles for the EU and the International Criminal Court. “We need those who have been responsible for violence or human rights abuses to be held accountable for their crimes as part of a political and democratic solution, as envisaged by the UN-brokered peace conference in Geneva last month. “All countries that can afford it need to continue providing humanitarian assistance to affected Syrians – including in the neighbouring countries most refugees call home today: Lebanon, Jordan and Turkey. Ms Lambert, the Green Party’s Immigration Spokesperson, added: “I am glad the European Parliament has adopted this position, supported by Green MEPs. This entry was posted in International News and tagged 'profound dismay', 9 million people affected, conference in Geneva, conflict in Syria, EU and the ICC, Green MEP Jean Lambert, UN-brokered peace conference by tamesidegreens. Bookmark the permalink.